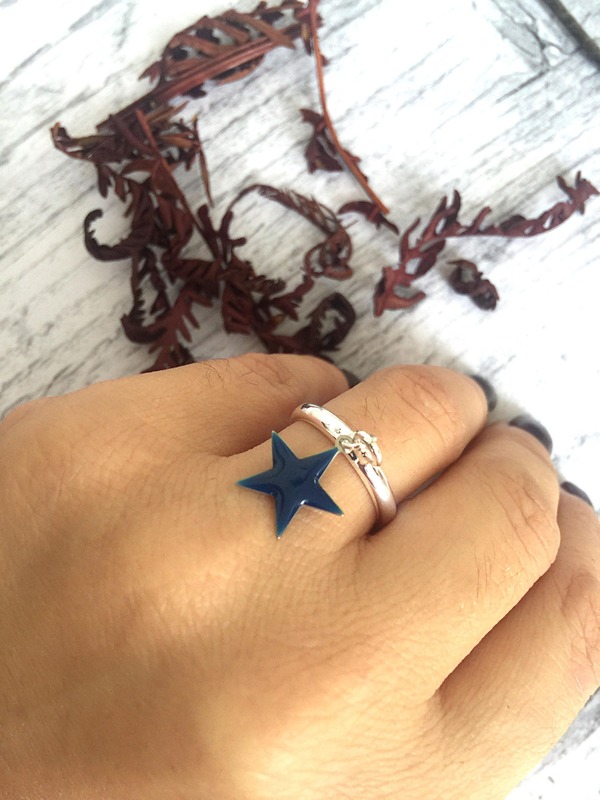 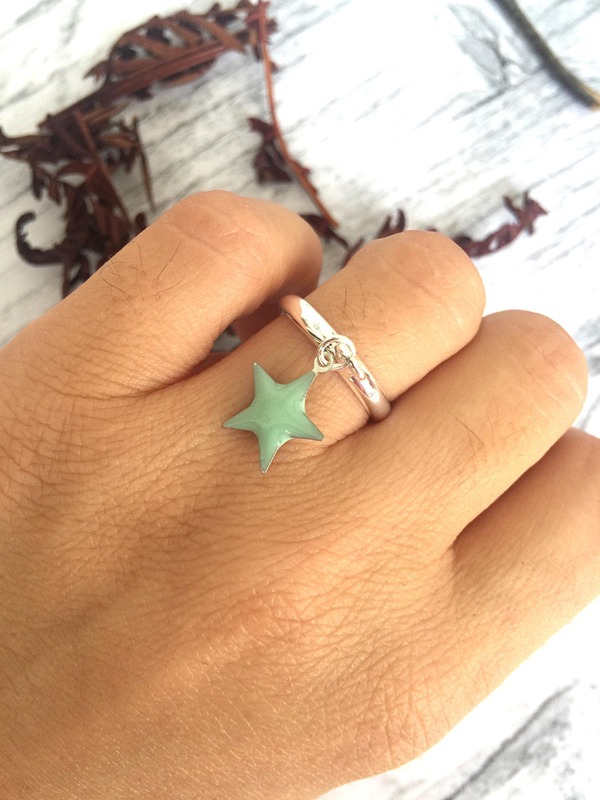 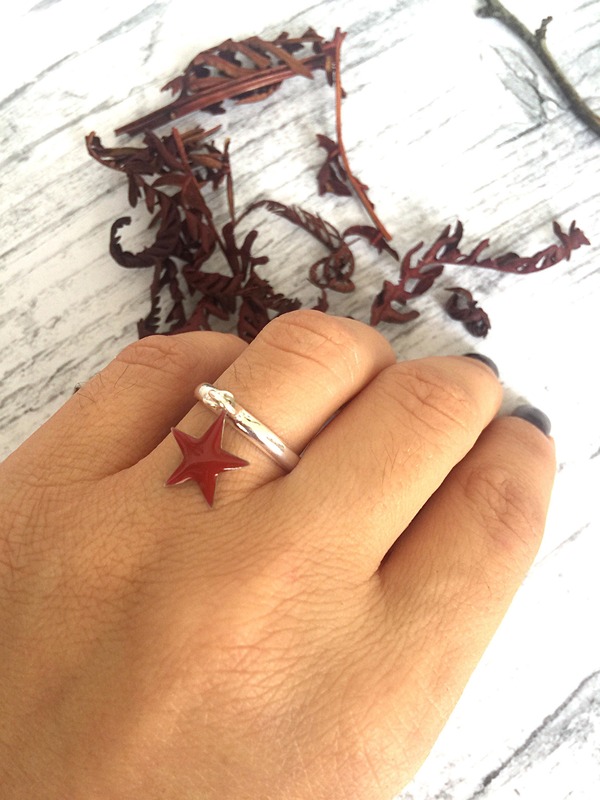 It is a silver brass ring with pendant enamelled star. 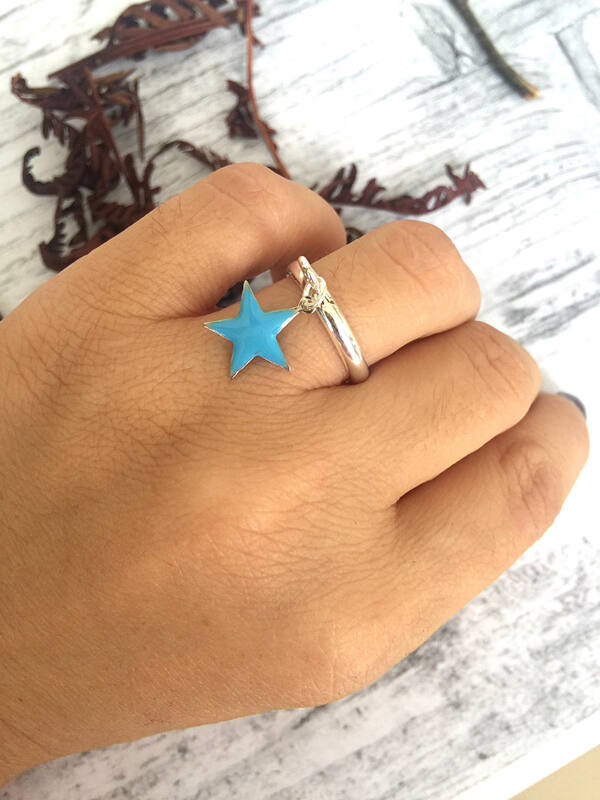 Various colors available, one piece per color. 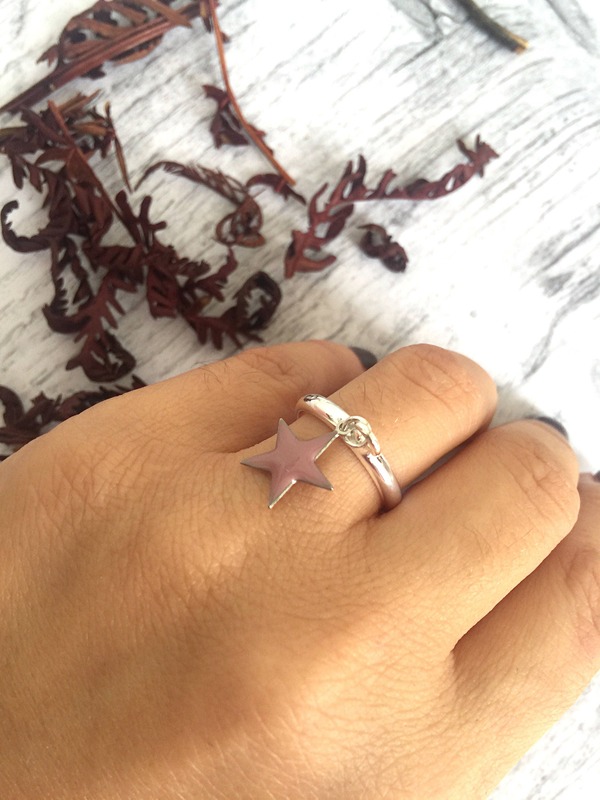 The ring is adjustable so adaptable to all sizes.